California native, Korina Huizar, is a former San Francisco State University cross country runner and academic honor student who recently took up cycling in 2012. Her athletic background, keen focus, and fresh passion for track cycling immediately ignited her cycling career, launching her to a National Championship title only two years after taking up the sport. After her successes in the United States, she moved to Belgium where she races professionally on the road and track, in addition to being a sales consultant at an international company. 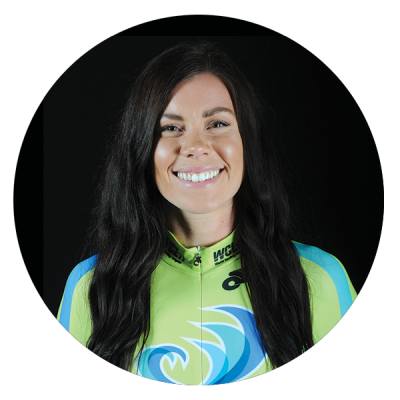 Korina brings talent, intelligence, and international racing experience to the California Wave as a top Enduro in the World Cycling League field.